Tim Burton Talks “Dark Shadows”: Alive or Dead, All Families Are Pretty Weird. | The Cineaste's Lament. ← Get Your Snow White On With Three New “Snow White & The Huntsman” Featurettes. 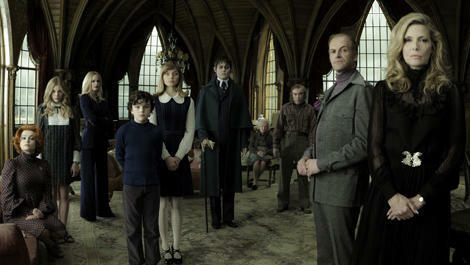 Tim Burton Talks “Dark Shadows”: Alive or Dead, All Families Are Pretty Weird. TotalFilm has an exclusive sitdown with the director, who’s bringing the 1960s horror soap to the big screen. Johnny Depp and Eva Green star. This entry was posted in action, Fantasy, Film News, Horror, Reboot-Itis and tagged Dark Shadows remake, Eva Green, Johnny Depp, Tim Burton. Bookmark the permalink.